Google put in place a few restrictions when it comes to apps and games on Android TV. 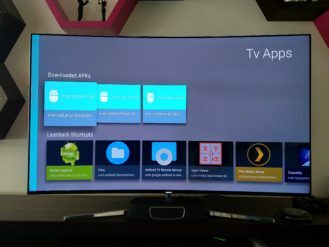 You either download the app through the Play Store on the TV itself or you browse through your computer and install remotely. 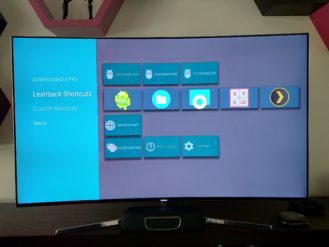 And even in that case, there are plenty of apps that show themselves as compatible from the web Play Store but when installed are nowhere to be found in Android TV's Leanback Launcher. 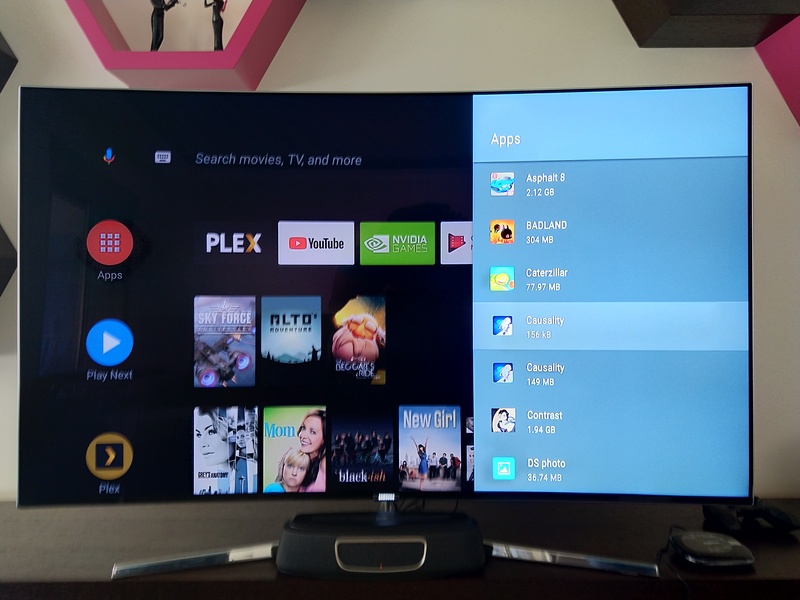 Usually, that means the app isn't fully optimized for Android TV, but it could still be properly functional (with remote and/or controller compatibility), except for the fact that you can't access it by default. 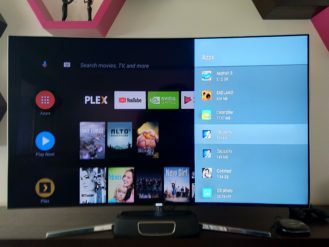 The solution until now was to install Sideload Launcher, an app that shows you all your Android TV apps, including the hidden ones. 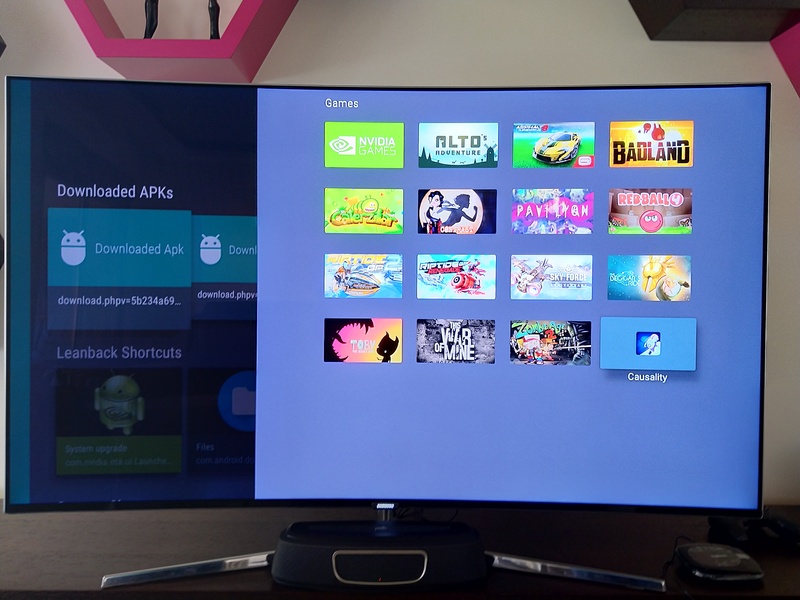 But now there's another alternative: Tv App Repo. 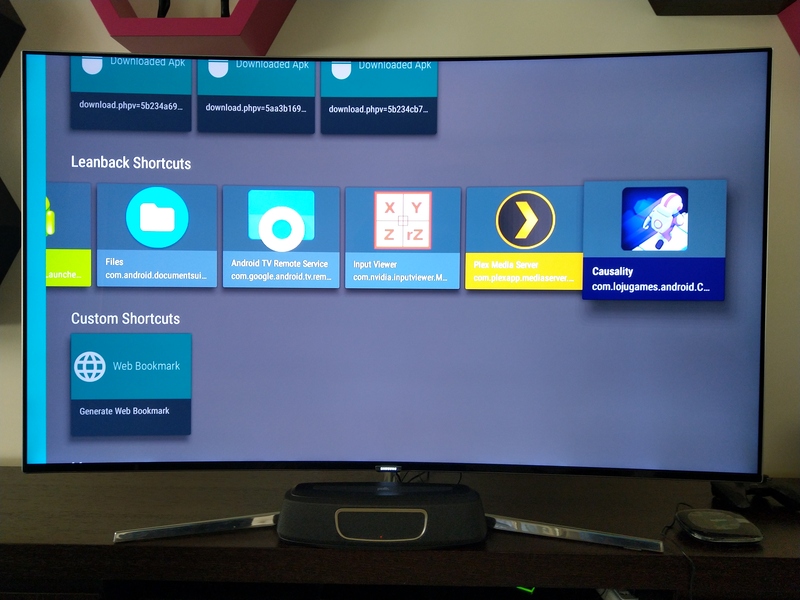 Instead of presenting your hidden apps, Tv App Repo (TAR for short) lets you create shortcuts for them on Leanback Launcher, letting you access them immediately from your apps carousel or list without having to open something like Sideload beforehand. The app is very simple to use. If you have a couple of apps you want to create shortcuts for, you'll be done in a few minutes and you won't have to open it again until you install another unoptimized app. Upon first launching TAR, you see the main section: Leanback Shortcuts. 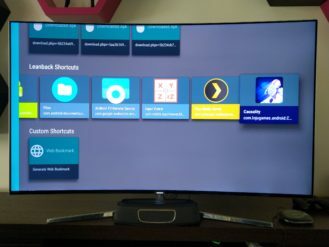 These are the apps that you've installed that do not have icons in Leanback and that you may want to create shortcuts for. 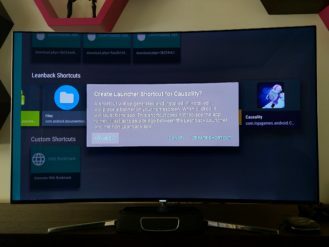 In my case, Causality is a game I've installed from the Play Store where it shows as compatible with my NVIDIA SHIELD, but it doesn't show up in the launcher. Please excuse my use of images here. I was planning on taking screenshots, but it turns out that the Android Oreo update on the SHIELD disabled its built-in screenshotting tool, leaving me without any easy alternative while in a rush to test this out before leaving home in the morning. 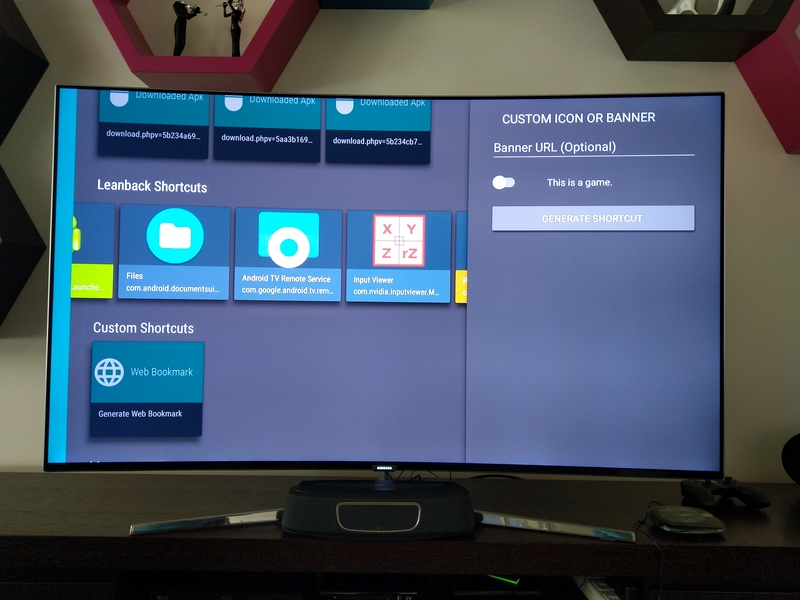 Tv App Repo menus (left) and the list of hidden apps including Causality (right). After choosing the app you want to create a shortcut for, you can either immediately launch the process or go into Advanced settings. That's where you'll find a switch to specify this a game plus a URL field to choose an icon/banner. Pop-up for creating a shortcut (left) and advanced settings (right). Whether with the basic or advanced settings, tap on Create shortcut and wait about 10 to 20 seconds. 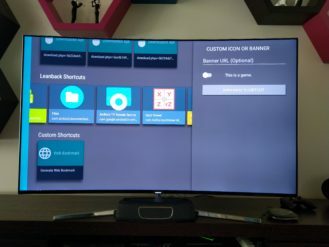 In that short time, TAR creates a small APK for an app that will show up in Leanback Launcher and act as a simple shortcut to open your chosen app/game. A toast tells you the app has been created and downloaded, then the installation begins immediately. You have to enable third-party installation if you're on Nougat or grant TAR app install permission if you're on Oreo. 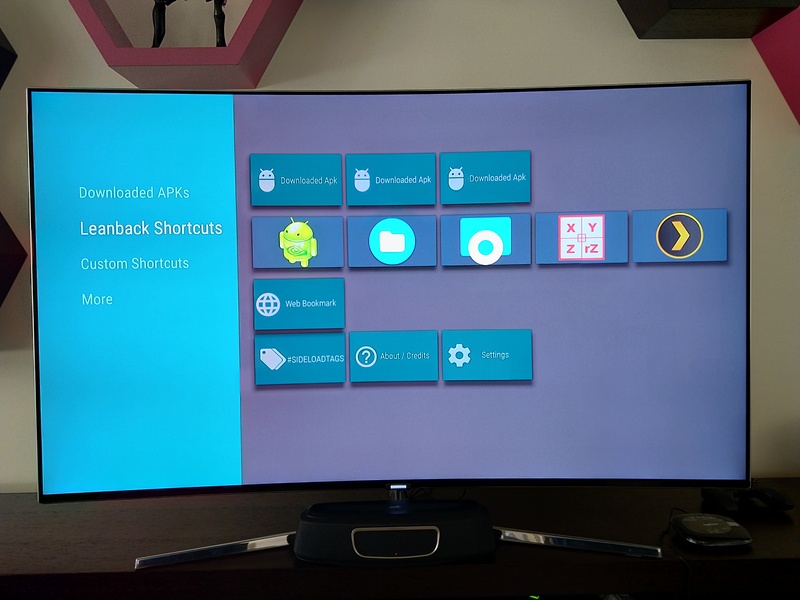 After installation, your shortcut should be in the list of apps and games on your Android TV. As you can see in the image above, Causality is now part of my launcher, though I didn't change the icon and the default one looks very tiny. Still, when I tap that icon, it launches the full Causality game in a couple of seconds. That's a job well done. 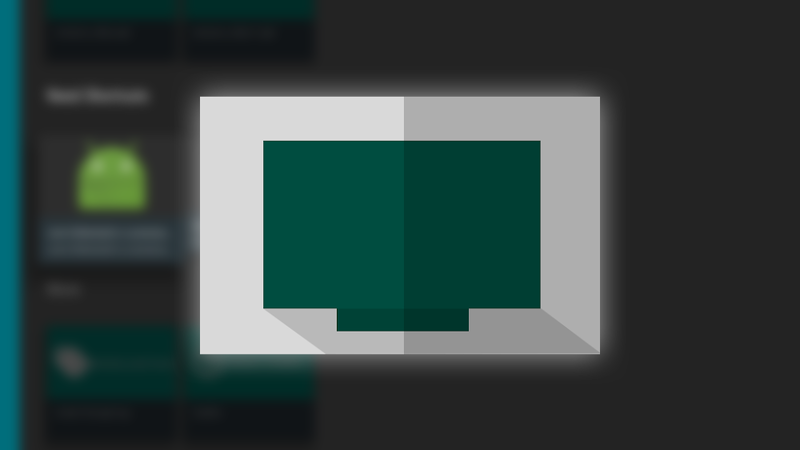 Your created APKs show up inside TAR in the Downloaded APKs section so you can install them again if you ever remove them. 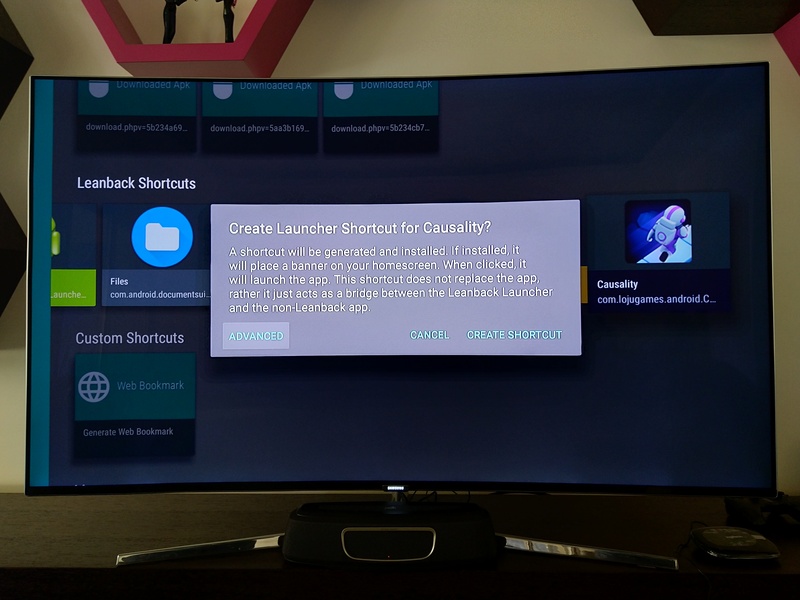 Talking about removing, you can uninstall the shortcut app directly from the launcher, like you would any other, or you can open your Android TV settings, go to Apps, and scroll to find the one you want to remove. Keep in mind that there will be two there: the mini shortcut app with a small ~150KB size and the full app/game which probably weighs much more than that. All my downloaded APKs (left). Two Causality apps are installed, one of them is the shortcut (right). TAR does what it sets out to do and packs a couple of other additions. For example, there's a Custom Shortcuts section to create shortcuts for your favorite bookmarks (to be opened in any third-party browser you're using) and a setting to delete all the downloaded APKs. The app is hosted on GitHub so you can check its code, compile it yourself, and contribute to it. If you'd prefer to go the regular way, Tv App Repo is free and available on the Play Store.